We are a group of local technicians whose only goal is to make our customers satisfied! We’ve been around for years and can fix whatever problem you put before us in record time. You name it, we’ve done it: from providing professional maintenance services to installing new garage doors! We understand that money is not easy to come by, which is why our technicians will always try the least expensive solution first and will replace only those components that are beyond saving. We can offer you valuable insight into the workings of your system and teach you tips and tricks to keep it in excellent condition for a very long time. And although we are fast workers, our solutions are not of the band-aid kind - it’s just not how we do things! Our customers deserve only the best, and that’s what we provide them with. We work with well-known brands and make a point of using only first rate tools and replacement parts. This way, we make our solutions long-lasting, on each and every project! Our prices may not be the lowest ones around, but you should ask yourself whether you have enough money to buy cheap things. If you want to improve the looks of your home or just to minimize the electricity bill, think about replacing the door you already have with a new one. All you need to do is choose the model that best reflects your personal style and leave the rest to us. We’ll make sure everything is connected and in perfect working order, make the necessary adjustments and double check the whole system to make sure it’s fully functional, reliable and safe. The most important part of professional maintenance is - visual inspection. The trained eye can tell a lot just by looking at the components; and if there is something amiss, we can deal with it right away. We’ll make sure the tiniest components are in their correct positions and apply the right amount of lubricant where necessary. In a nutshell - our professionals can help your system run without the need for repair for a very long time. Every component has its own designed life span, and once it reaches it, no amount of expertise can save it. We work with well-known brands and models and can help you choose a door opener that satisfies all your needs. All newer models offer more security and are practically silent, and a there is also a variety of them that allow you to control and monitor your opener from your smartphone. Once you decide on a unit, we’ll install it for you and show you how to operate the upgraded system. If your springs are broken, stop using the door and call our professional repairmen as soon as possible. You see, if you keep operating the door, you’ll just cause further damage to your system and pay more for the repair. If you don’t hire professionals, you’ll end up seriously injuring yourself or your loved ones. We have the appropriate tools and more than enough experience to safely replace these components with a new pair and let you get on with your day in no time at all. If your door has become too noisy or if you have safety concerns because you’ve noticed frays on your cables, you’ve come to the right place. We have years of experience under our belts and can make any problem troubling you go away in the blink of an eye! Once we’re done fixing your system, it will run as smoothly as it did when it was first installed. You can relax now - we’ll take it from here. Check out many of our latest projects on the page below! 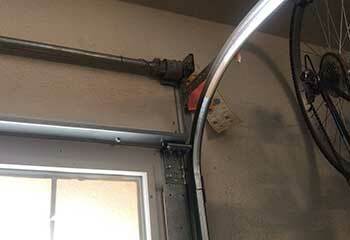 Our team got this customer’s garage door opener working as good as new again. Read about the operation here. 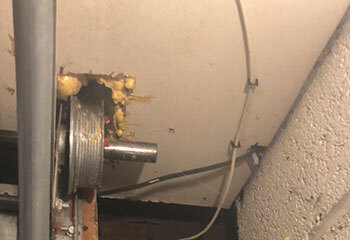 Our team recently encountered a case study in why professional spring replacement is essential. Read about it here. Mr. Booker's garage door was off track and he asked us do some repairs. Read more about our visit here. A power surge damaged Mr. Cordova's door opener. Check out all the details of our visit here. Mr. Cantrell added a garage to his home and asked us to install a new door. Read the details here. 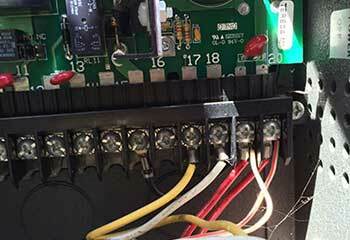 Thanks for sending us such a great service technician today when our garage door opener quit working. He was able to repair it perfectly in just a few minutes. Excellent service and highly recommended! 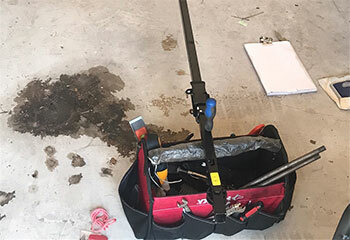 When our garage door stopped working, your technician found the problem quickly. He replaced a frayed cable and made some adjustments and the door works perfectly again. Thanks for great service! When your serviceman discovered a broken spring on our garage door, he knew exactly how to replace it. We couldn't be any happier with the results. Thanks for excellent service and sending such a knowledgeable technician.